The majestic and huge Andre- Lachambre system ( named after its discoverer on the 20th of January 1981) is located on the massifs of Ambouillas, close to the famous fortified city Villefranche-de- Conflent. The site is developed over 26500 meters. 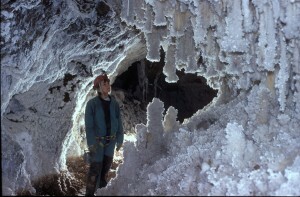 After 300m, you will reach the first concretions in a large gallery. From here many visits are available, areas, full circuits. Most of the sites are perfectly white . 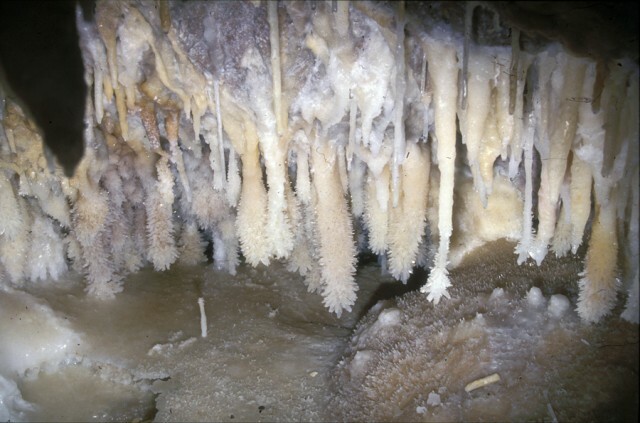 The characteristics of the system La Chambre is to present the building type of a succession of calcite/aragonite/hydromagnesite, with a high concentration of hydromagnesite. The cave is so rich it’s difficult to describe it! Some of the most fantastic galleries are the ones of Marde, Marteau, Gepy, Marie-helene, Riviere Vincent, Canyons blancs. 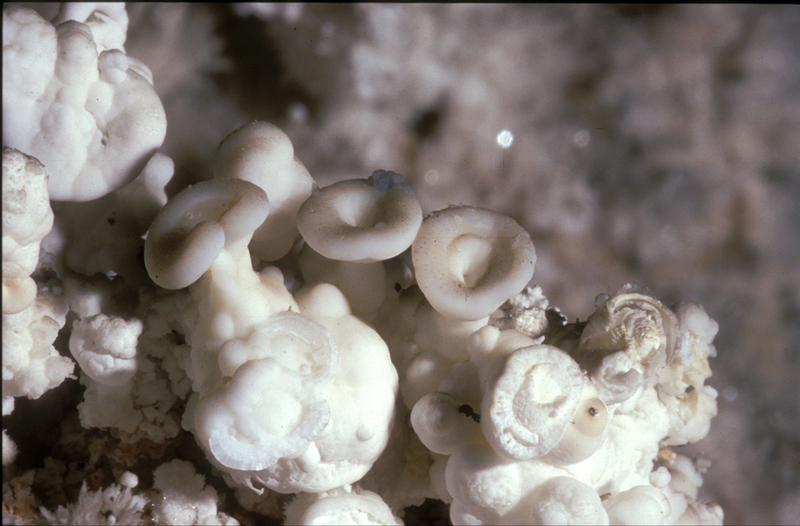 The walls of the last one are entirely made of aragonite and hydromagnesite crystallisations. The “Coupelles aux 1001 nuits” is one of the focus points of the site. It has all the types of concretions you can find. On the 1th of January 1991 the site was classified and is managed by the Conflent speleo club of Prades. 12 days of visits for 10 people maximum/year. Some areas are not accessible to public.